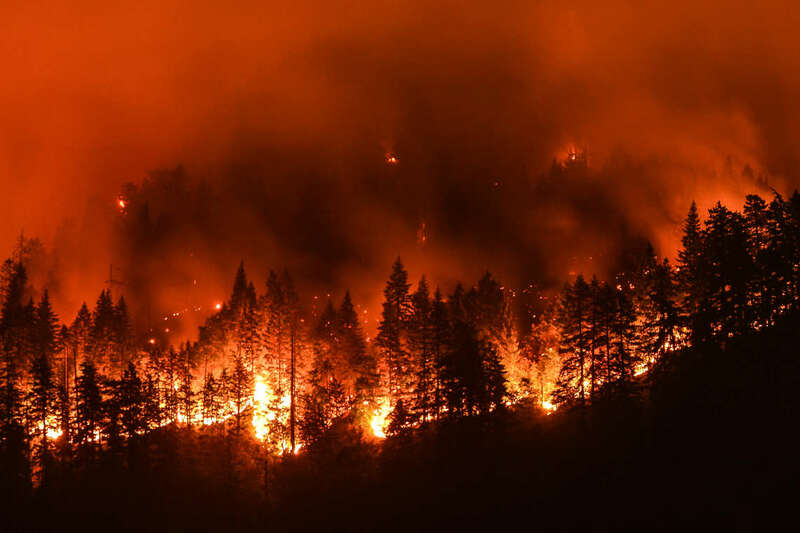 Pacific Gas & Electric (PG&E) power lines caused four of the devastating wildfires that swept California’s North Bay last October, the California Department of Forestry and Fire Protection (CAL FIRE) announced. CAL FIRE’s investigations confirm what many suspected—that high winds caused trees and branches to fall onto PG&E power lines, causing sparks that ignited nearby vegetation. CAL FIRE’s report accounts for 9,390 acres burned in October of last year. Investigations are still ongoing, as 170 fires burned a total of 245,000 acres in California’s North Bay. Two of those fires, the Atlas and Tubb fires, were the deadliest in California history, causing a combined 42 fatalities and destroying 7,000 structures. In addition to attaching PG&E to the cause of these fires, investigators also believe they may have violated state laws. The Nevada and Butte County District Attorneys’ offices are now investigating PG&E’s role in the McCourtney, Lobo, and Honey fires. California law requires that utility companies maintain clearances between vegetation and power lines, especially in mountainous, forest-covered, or grass-covered lands prone to wildfires. If a tree or branch falls on a high-voltage power line, it can spark a fire. PG&E was fined $8.3 million after investigators determined one of their power lines caused the 2015 Butte Fire. These laws are in place for good reason. In 2015, power lines and electrical equipment were the leading cause of wildfires in California, burning 149,241 acres—more than double the acreage burned by any other wildfire cause. These fires were not only destructive, but cost millions of dollars to contain. In 2015, half of the entire U.S. Forest Service budget was devoted to fighting fires. This isn’t the first time that PG&E has faced liability for failing to properly maintain their electrical equipment. They were fined $8.3 million after investigators determined one of their power lines caused the 2015 Butte Fire in Amador County. That fire caused two fatalities and destroyed 549 homes. North Bay residents filed lawsuits alleging that improperly maintained PG&E infrastructure started the wildfires that destroyed their property or caused their injuries. Morgan & Morgan attorney Ben Wilson is on the Plaintiffs’ Steering Committee for ongoing litigation against PG&E filed in the Superior Court of California. Related ArticlesBen Wilson Earns Leadership Role in NorCal Wildfire Cases. With experienced fire attorneys like Ben Wilson serving in leadership roles in the litigation against PG&E, our firm is uniquely situated to help victims pursue justice. If your property was destroyed in the 2017 North Bay wildfires or you or a loved one were burned, you may be eligible for financial compensation to help you recover. Complete our online form for a free, no-obligation legal review.